Juliana Gomez Just Celebrated Her Sweet Sixteen! The young beauty is all grown up! 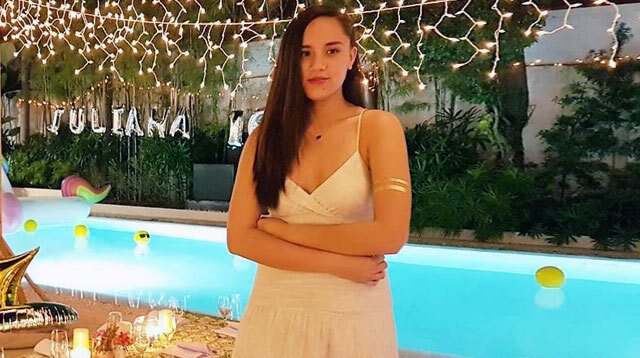 Lucy Torres and Richard Gomez’s unica hija, Juliana Gomez, just celebrated her sixteenth (OMG I feel so old) birthday over the weekend with her close family and friends. Still, Juliana’s sweet sixteen was truly Pinterest-worthy, with her pool inflatables (I so want that unicorn floatie! ), balloons, and fairy lights. Here’s the camera-shy birthday girl with her super yums cake!